125cc scooters are more powerful and offer more features than the regular 110cc scooters. While the 110cc scooters are just good for short distances, the 125cc scooters can be taken on long highways. Check out the list of best 125cc scooters in India to pick one for yourself. Now, the 125cc list includes a lot of scooters and almost at least one from every two-wheeler brand. Well, scooters have always been a companion for short distances where your car cannot squeeze. However, due to growing traffic in the tier-I and even tier-II cities, the use of 125cc scooters is growing. The primary reason is that people are now preferring long commutes over the two-wheeler. So, the range of these 125cc scooters start right from Rs 55,000 and go up to Rs 70,000 and more. 125cc scooters are also divided in family and youngster scooters. So check out this list to pick one for yourself. Activa is one of the old players in the market and has been ruling the market since then. The parent company, Honda, also has a good control over the competition in the market. Honda Activa 125 comes in three variants ranging from Rs 56,954 to Rs 62,005 (ex-showroom). 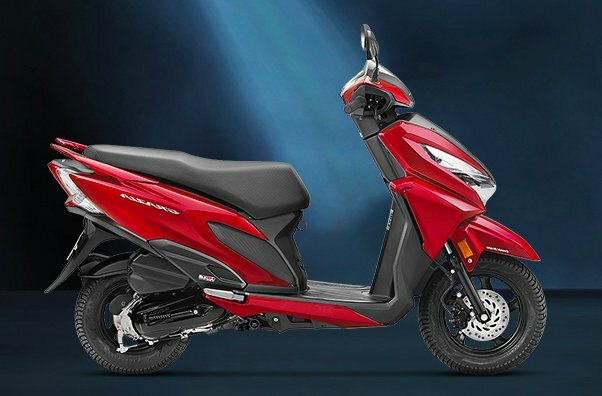 Honda Activa 125 comes with a 124.9 CC engine producing 8.35 BHP power and 10.54 Nm torque. Weighing 108 kgs, the fuel capacity of Activa 125 is 5.3 Litres. It has recorded a maximum speed of 84 KMPH. It comes in three variants – STD, Alloy and DLX. Activa 125 gives a mileage of 59 KMPL with a riding range of 312 kms. Unlike Activa 4G, which still uses old-school suspension, Activa 125 uses front Telescopic suspension. It comes with features like Digital Analogue Display, Mobile charging socket, 18 Litres of storage, Combi Braking system and Full-Time Headlamps. 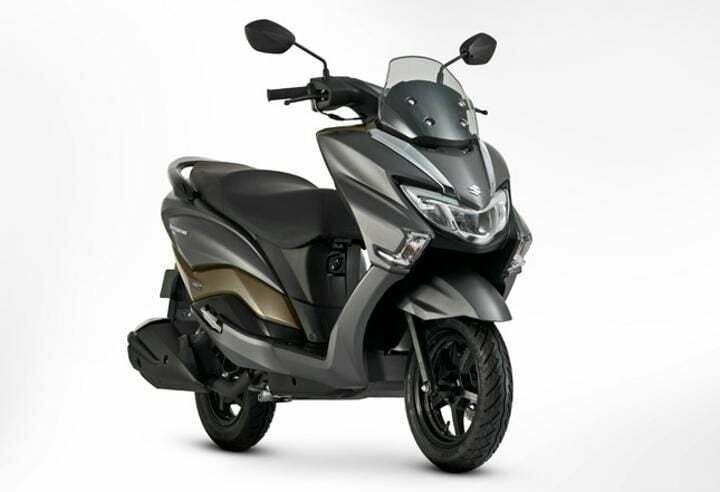 Grazia 125, Honda’s newest launch has started gaining its share in the market with its stylish and modern looks. Honda Grazia is priced between Rs 58,133 to Rs 62,505. The engine specifications match with Activa 125, however, it is totally different in other components. Grazia 125 comes with a 124.99 CC engine producing 8.52 BHP power and 10.54 Nm torque. The scooter weighs 107 kgs and the fuel capacity of Grazia 125 is 5.3 Litres. The maximum speed record touched by Grazia 125 is 85 KMPH. Like Activa, it also comes in three variants – STD, Alloy and DLX. It gives a mileage of 54 KMPL with a riding range of 286 Kms. The modern and sleek Grazia 125 features LED Headlamp, Front Glove box with mobile charging socket, Fully Digital Meter with Eco Speed Indicator and 4-in-1 lock seat opening switch. TVS is the second largest two-wheeler maker in India. Ntorq, TVS’s latest launch has been providing tough competition to the other scooters following a modern urban look. The scooter is priced at Rs 58,075 (ex-showroom) which is quite less for a technology savvy scooter. Ntorq is the first scooter to get a Bluetooth enabled digital cluster display comprising of 55 features. It includes incoming calls, messages, GPS, best lap timing and much more cool information. It comes with a proper caller ID helping the rider is being connected all the time. TVS released an app through which the phone can be connected to the scooter. It also essential and some unusual features Engine kill switch, Pass by light, the Last location parked location assist, high-speed indicator and much more. With proper racing looks and components copying Apache, the scooter sports a 124.79 CC engine, which produces 9.5 PS power and 10.5 Nm torque. The scooter weights at 116 kg with a large storage capacity of 22 Litres and fuel capacity of 5 Litres. However, Ntorq gives a mileage of 48 KMPL with a riding range of a mere 240 km. For the first time, a scooter is conscious of its racing DNA. Ntorq has recorded a top speed of 95 KMPH and it also has a top speed recorder for showing it off to your friends. One of the iconic scooters of the yesteryear, Vespa has made a soft killing in the Indian market. With notable sales figure, Vespa is one of the classy yet elegant scooters plying on the roads. However, Vespa SXL 125 carries a price tag of Rs 88,313 (ex-showroom Delhi). 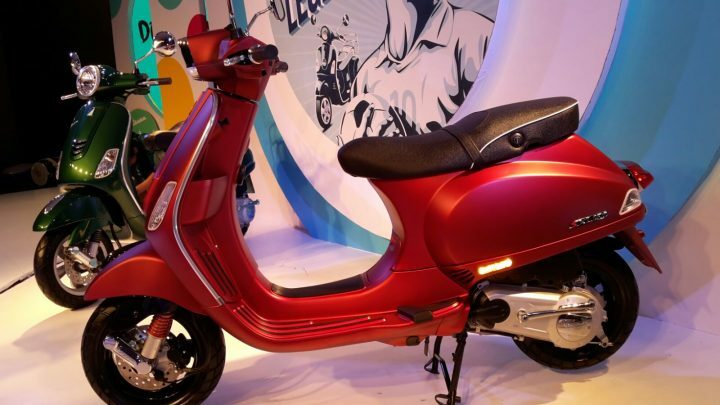 The scooter is powered by a 125 CC engine that produces 10.06 BHP power and 10.6 Nm of torque. SXL 125 currently produces the highest power amongst its competitors. The scooter weighs 110 kgs carrying a huge fuel tank capacity of 8 Litres. Vespa SXL 125 has recorded a top speed of 90 KMPH. It gives a mileage of 45 KMPL with a riding range of 360 kms. The scooter comes with standard features like digital analogue speedometer, low fuel indicator and a clock. Vespa SXL 125 is the costliest scooter in the segment with very basic features. The Italian beasts have come. 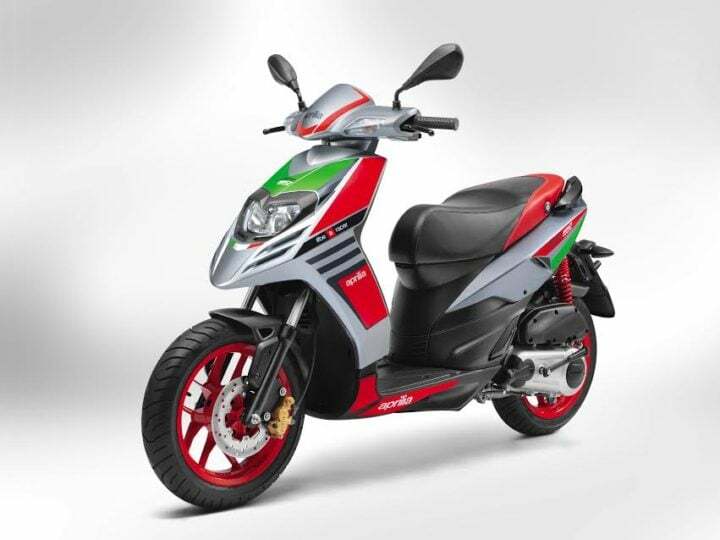 Aprilia, one of the best two-wheeler makers debuted India last year with their two flagship scooters – SR 125 and SR 150. SR 125 gets the much required sporty and muscular looks from Aprilia. The scooter is priced decently at Rs 65,310 (ex-showroom) as per the Indian market. 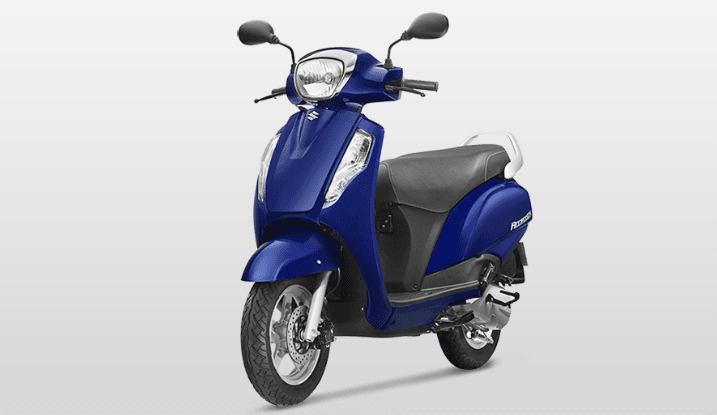 The scooter is powered by a 124 CC engine that produces 9.4 BHP of power and 9.9 Nm torque. SR 125 weights around 110 kgs with a fuel capacity of 6.5 Litres, which is pretty good. The top speed recorded by the scooter is 91 KMPH. It gives a mileage of 40 KMPL with a riding range of 260 Kms. 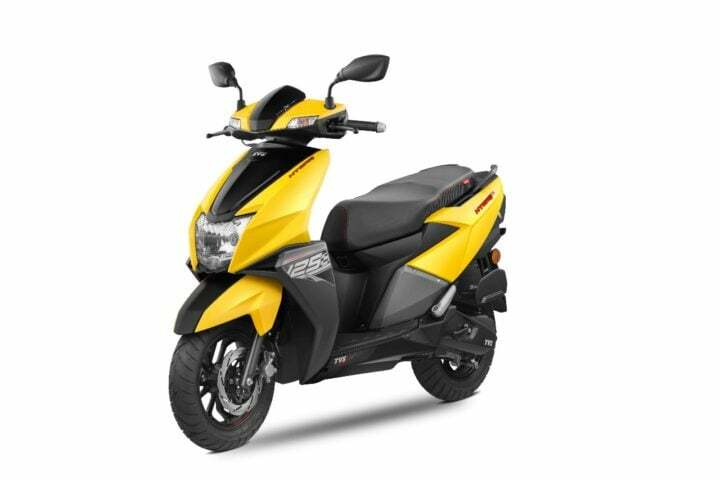 Despite its sporty looks, SR 125 offers just the basic features like analogue display cluster, low fuel indicator. With the least features in the segment, SR 125 receives heavy competition from other scooters. The Japanese company has a limited share in the scooter market in India, which is mostly taken by Suzuki Access. The simple looking Suzuki Access highly competes with Activa 125 because of both of them sharing simple looks and being less priced. Suzuki Access carries a decent price of Rs 58,305 (ex-showroom). The scooter runs on a 124 CC engine producing 8.7 PS of power and 10.2 Nm of torque. Being the lowest weighed, it is just 102 kgs with a fuel capacity of 5.6 Litres. It gives a mileage of 64 KMPL with a riding range of 358 kms. Suzuki Access, surprisingly, features a DC charging socket, digital analogue speedometer, front storage option and one button central locking system. With good features and decent pricing, it displays its heavy dominance in the market. Mahindra Gusto has been in the market for the last 4-5 years and is lying low since then. This January, the new Gusto 125 came with upgraded engine and specifications. Gusto comes in two variants – DX and VX- priced at Rs 50,420 and Rs 55,060 (ex-showroom) respectively. Gusto comes with a 124.6 CC engine producing a power of 8.5 BHP and 10 Nm of torque. The highest weighing scooter is 123 Kgs with a decent fuel capacity of 6 litres. It gives a mileage of 63.70 KMPL with the highest riding range of 382 kms. Mahindra Gusto comes with its trademark features like an adjustable seat, the unique remote flip key and the front storage option near the speedometer. In the upgraded version, Gusto has new LED lamps and the guide lamps which stay on for 3-4 seconds after switching off the ignition. 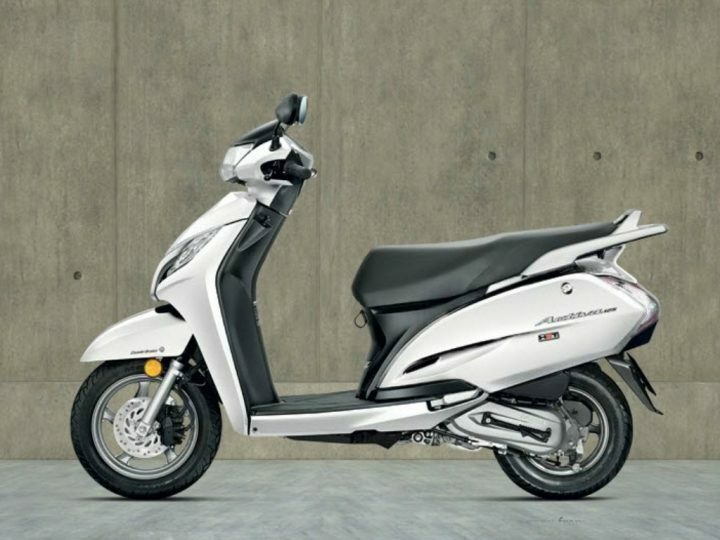 The Burgman Street is the latest one in the 125cc scooter lineup. It is priced at Rs 68,000 (ex-showroom Delhi). It is basically, a maxi-styled scooter with large front apron and an unusually disproportionate body. However, it surely looks sporty enough. Features onboard the Burgman Street include Fully Digital LCD Instrument Cluster, LED headlamp unit and LED tail lights, 12V charging socket, Shutter Key and central seat lock, Front Disc Brake with combined brakes, Large Apron and Windshield, 21.5 Litre under seat storage and Glove box for storage. So, these were the best 125CC scooters available in the Indian market. So which one would you prefer for your daily traffic commute?